It’s so weird for me to think back to my childhood and remember how much I despised vegetables. I mean I hated them with a passion and refused to even try them! There were many nights that I had to forgo dessert because I would not eat the vegetables on my plate. My mom and dad were ready to pull their hair out I’m sure. Thankfully it was just a phase (albeit a long one!) and I grew out of it. I now love vegetables and can’t get enough of them! There are some veggies that I like more than others. For instance, I adore broccoli, potatoes, green beans and celery, but am not crazy about peas or eggplant. Brussels sprout were my nemesis growing up. I thought they looked and smelled disgusting. Today I think they are one of the most delicious veggies ever! 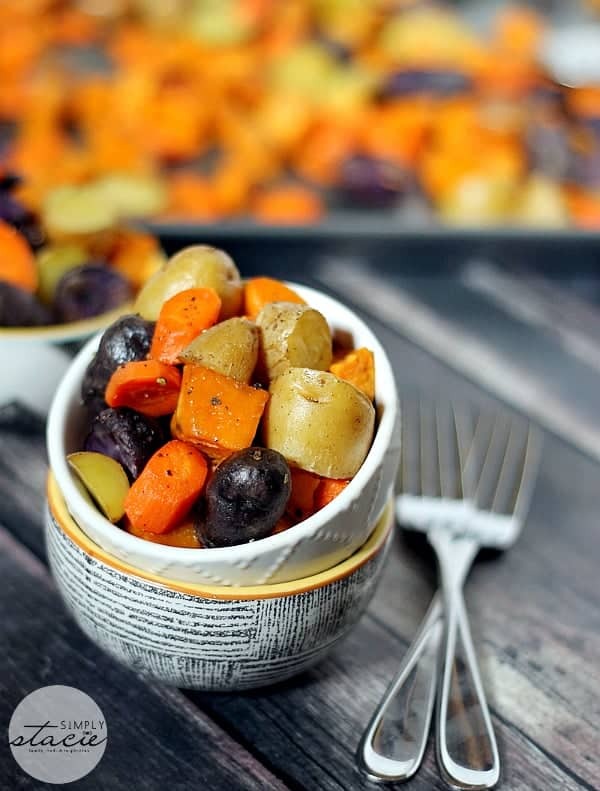 My brother-in-law, Jamie, made the most delicious side dish ever for our family Christmas dinner – roasted root vegetables. I was stuffed, but I had seconds of his dish because it was that tasty! 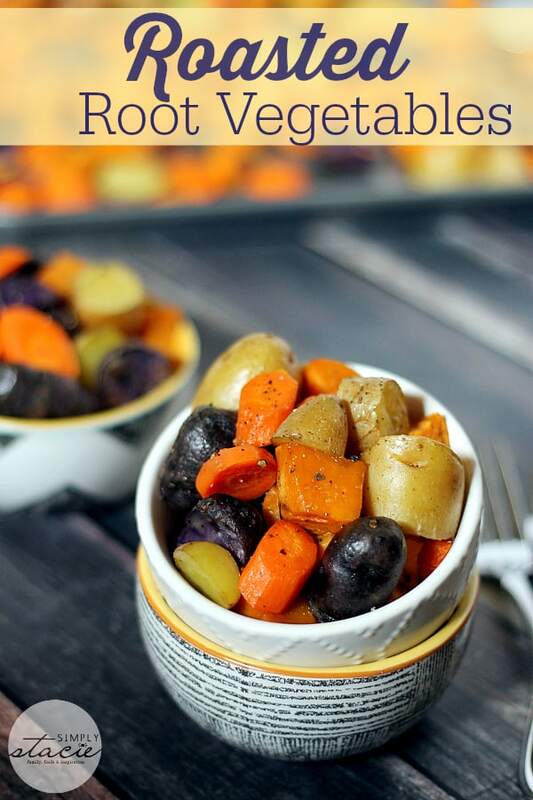 I don’t know what it is about roasted veggies, but they are something special. I could eat this recipe as a meal on their own, but it makes more sense to serve them as a side dish. They’d be yummy paired with some roast beef, chicken or even a pork tenderloin. The meat and potatoes type of meal is John’s fave! 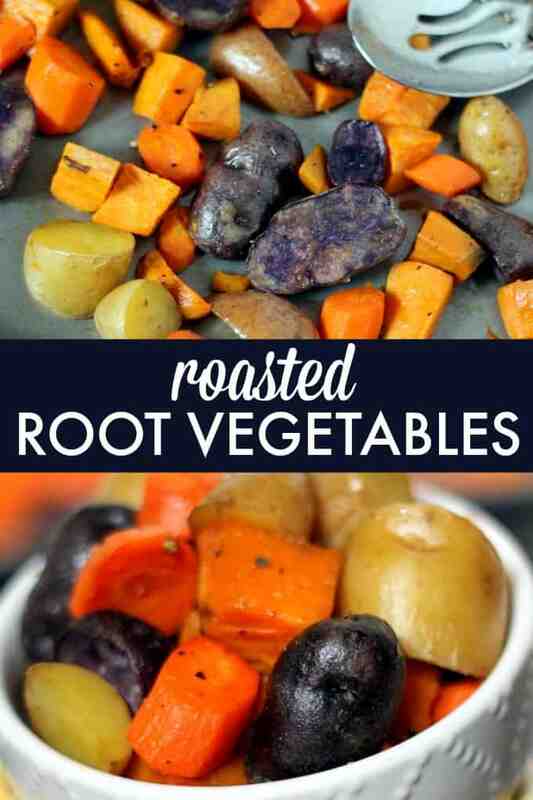 If you wanted to change the recipe and use different types of root veggies, go for it! My brother-in-law uses turnips and parsnips in his recipe. 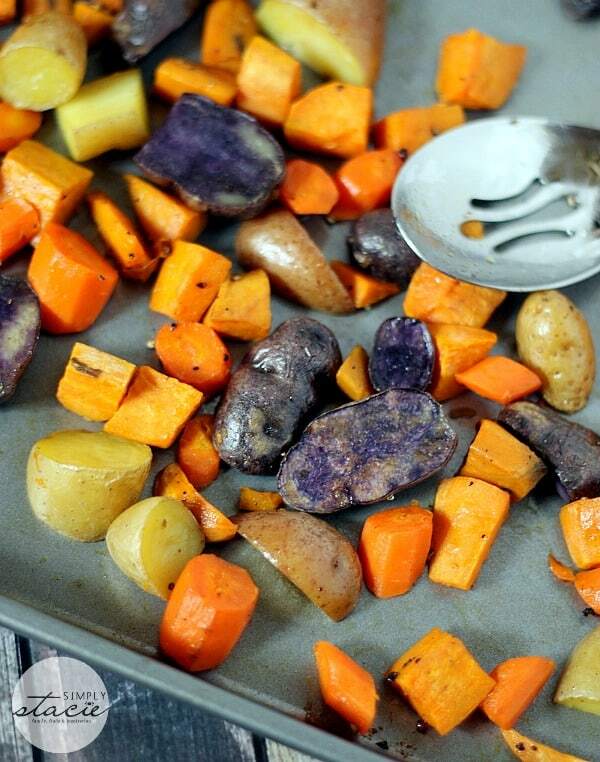 What are your favourite root vegetables? 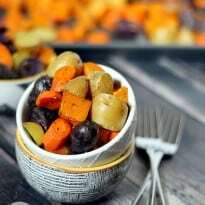 Even veggie haters love this recipe! Serve with some roast beef, chicken or pork tenderloin. 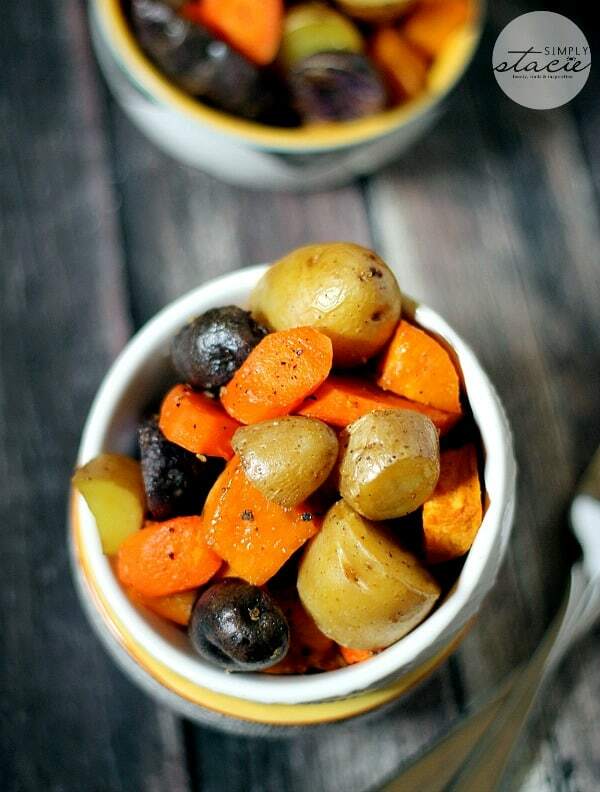 On a large baking sheet, place all the chopped vegetables and spread evenly. Drizzle olive oil all over the vegetables. Sprinkle salt and pepper over the top. Using hands, toss to coat until oil and spices are evenly distributed. Bake on center rack for 20 minutes; flip/stir vegetables. Bake another 10-15 minutes, testing doneness after 10 minutes. Vegetables should be fork tender. If not, cook up to 5 more minutes.